If the battleground over abortion resembles a chess board, the new Netflix documentary Reversing Roe is an offensive bombardment on the pro life movements front lines. The problem is that the film talks around abortion without ever really talking about it at all. Its release is eerily timely its conclusion set the stage for the dramatic showdown over Supreme Court nominee Brett Kavanaugh. And its method is strikingly similar to coverage of the Kavanaugh debacle a postmodern feelings led ... See More approach that runs roughshod over the ins and outs of valid arguments. The documentary juxtaposes a brief history of abortion rights with recent efforts several states have made since Roes inception to limit access to abortion. From the pre Roe era of illegal abortions whether therapeutic and performed in hospital settings or done with coat hanger segments in hidden rooms to President Trumps inauguration and nomination of Neil Gorsuch to the Supreme Court, Reversing Roe spells out the purported dangers of eliminating abortion as a constitutional right for women. 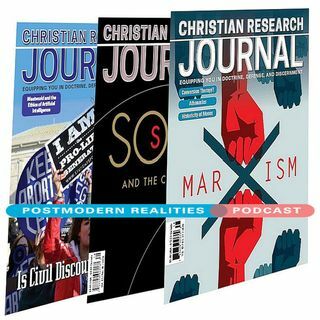 This Postmodern Realities podcast episode is a conversation with JOURNAL author Megan Almon about her online review article Reversing Reason.